Everyday it takes me around 30 minutes to warm-up. I start with easy cardio for 5-10 min. then do some light foam rolling and stretching, leg swings, lunges, rotator cuff exercises, and finally movements specific to the workout I’m about to do. My warm-up has gotten more extensive (and longer) with each year I do CrossFit®. Almost to the point that it started to annoy me, and then I remembered back to my gymnastics days. Ever since I was on team at age 8, I remember our warm-ups taking us at least 30 minutes with all of the stretching and other calisthenics we did. Even though we were young and healthy I believe the gymnastics coaches knew what they were doing to keep us that way. With the intensity of competitive CrossFit® it’s imperative to put in the time for an adequate warm-up and mobility work. If you don’t put in the time now you’ll put it in later when you have an injury. If you are a recreational CrossFitter following a Paleo lifestyle is probably nutritionally adequate and a good way of maintaining longevity and health. However, if you are a competitive level athlete and training intensely more than an hour a day your main source of energy is carbohydrates and strict paleo simply does not provide enough sources of them. Now I’m not saying to go out and carb load on pasta, bread, or sugar. That’s just an inflammatory insulin bomb. I am saying look for complex sources of carbohydrates from plants and low glycemic grains to add into your diet, especially when training is at its peak. During an interview at the Games every individual athlete was asked who follows a paleo diet, and not a single one raised their hand. 3. Sacrificing Technique and Movement Efficiency for Intensity and Eventual Technical Breakdown. CrossFit gets results due to the intensity of the workouts, but that doesn’t mean throw all good form out the window. For example if your back starts rounding when you’re pulling from the ground or you’re chasing wildly after snatches, it’s time to put the bar down until you can regain efficiency. Your back and other body parts will thank you later! Also if you’re compromising range of motion enough to miss consecutive reps, take a quick rest before you go again. Otherwise you’re ingraining poor habits and when you reach that place of pain and fatigue again in competition guess what’ll happen… No Rep! 4. Doing Volume for Volume’s Sake without Intent. CrossFitters are notorious for thinking that when they’re getting ready to compete more is better. This mindset leads to the performance of multiple hero WoDs in a day with the intent of “loading”, when what it really does is break the athlete down with laborious repetition and impede lasting gains. More is not better, better is better. Having a purpose, i.e. knowing the energy system and muscular groups you’re trying to tax during a workout allows you to work smart and hard, not just hard. Again, your body will also thank you later! This is for the CrossFitter that walks into the gym and decides when they get there what workout they’re going to do based on what their gym posts and which one of the blogs they follow appears best that day. Blogs are written for a reason, with progressive intent to allow your workouts to build upon themselves for measurable improvements in your numbers. If you jump from program to program, weekly or even daily, that progress is completely short-circuited. Not to mention you’re probably doing mostly what you’re good at and not working your weaknesses enough. 6. Following a Strength Progression that Doesn’t Makes Sense or One Without Any Progression at All. The body adapts to load by responding to meet the load in the form of muscular hypertrophy. There have been many studies showing the best percentages of max load, sets, reps, and frequency to produce optimal gains without under or overloading the athlete. These studies have produced named strength progression tables, squat cycles, and the like. You can reinvent the wheel and use yourself as a guinea pig to do your own research, or you can find a viable progression and just follow it. I’ll give you one guess what most long-term successful athletes do. One other thought to keep in mind is how much loading your conditioning work is providing. An example would be making your conditioning heavy on the weights during the heaviest week of a strength loading cycle (no bueno). 7. Forgetting to Supplement Your Program with Basics, Strict Strength, and Supplemental Work. Just because you can kip almost any movement in CrossFit, doesn’t mean it’s in your best interest to do so all of the time. Working strict strength with things like dumbbell press or tempo bench press can do wonders for the strength of your jerk or stamina of kipping handstand push-ups. Sometimes to get better at a complex movement you need better strength with the basics as well. Think along the lines how important the hollow position is during kipping in general and you’ll see why doing hollow rocks would have carry over into almost all gymnastics movements. Basic skills and strict strength also overlap with supplemental work, which can be a great way to address muscular imbalances and push past plateaus. Supplemental work is also a staple in the work of some of the strongest people on the planet who employ Loui Simmon’s conjugate method. 8. Waiting >90min. to Replenish After a Hard Training Session or Only Replenishing Protein. 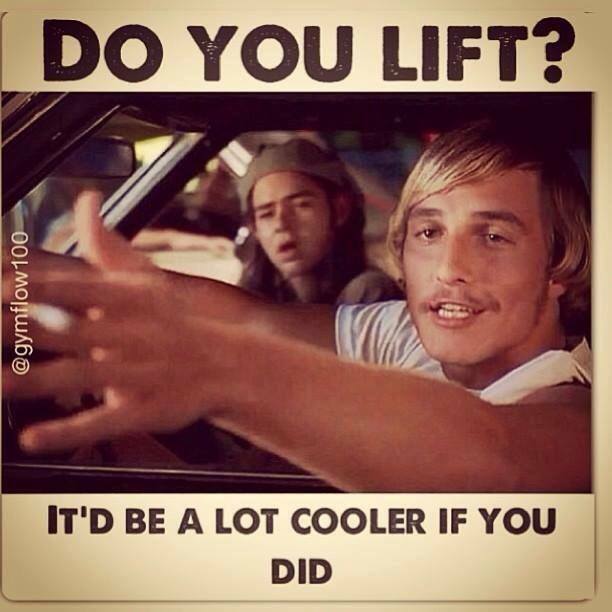 The fact is the majority of CrossFitters do not need a liquid protein shake post-workout. If you are just doing CrossFit as part of a healthy lifestyle or you are trying to decrease body fat, then a meal consisting of lean protein, nutrient-dense carbs (vegetables) and healthy fat is best post-workout. However, if you are participating in CrossFit as a competitive athlete and are completing multiple grueling and taxing workouts several days per week (and many times twice per day), your post-workout nutrition becomes vital to your success. Although this is a very individualized thing, there are some constants; the first being that you need more than just protein after each session. Protein combined with carbohydrates is essential immediately following a workout – it’s just a matter of how much of each based on the individual. The ideal ratio of carbs:protein can typically run anywhere from 2:1 to 4:1 depending on the athlete’s body composition and type of training session just completed. The source of carbohydrates should be something that will work quickly with minimal interference. Some examples would be maltodextrin or sugar. The priority is timing and you want to make sure this liquid shake is taken immediately after the session is completed in order to replenish your glycogen stores decreased from training and spark muscle protein synthesis. Approximately one hour after drinking this shake, you should then consume a whole foods meal consisting of lean protein and carbohydrates. A great example of that would be some grilled chicken and a sweet potato. Again, the amounts of protein and carbs are extremely individualized. It doesn’t have to be the size of a traditional dinner, and each athlete must find their ideal ratio, but the constant is timing and the combining of the two macronutrients. Nearly as important as what you’re doing in the gym is what you’re doing outside of the gym. The ability to recover is instrumental to seeing consistent gains in athletic performance. Growth Hormone (GH) is an essential part of that recovery. It allows the body’s ability to repair itself after intense exercise through muscular hypertrophy and plays a significant role in the maintenance of lean body mass. Nearly 50% of GH secretion occurs during the third and fourth NREM sleep stages. If you are regularly skimping on sleep by 2 or more hours you are missing the body’s prime production time of GH, and thereby not recovering as you could or should be. Basically all the effort you put into your squat cycle was just thwarted by a significant percentage if you were sleep deprived during it. Another important aspect of recovery is taking needed rest days. Continuing to workout through a certain level of fatigue or soreness can actually be counterproductive long term. 10. Asking for Advice and Then Not Implementing it.